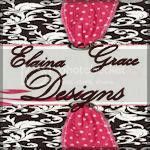 Elaina Grace Designs is giving away the cutest valentine hair clippie. 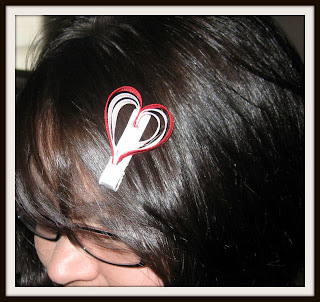 It is an alligator clip linned with white ribbon with a heart made of red , white and pink. This will be so very cute in your little princess' hair for valentines day. The giveaway will end 2/06 at midnight. Thanks for taking a look and good luck !!!!! This is adorable !! would look so cute in Ashleigh's hair ! Oh how cute. These would be adorable on any girl.